River Cairn Counseling provides professional therapy services to help you heal and see positive growth. I’m a Licensed Independent Mental Health Practitioner in Nebraska. Working online with people from all walks of life and with a variety of concerns, I take an open and welcoming approach to therapy. Creating a space in which people feel safe to share their experiences, thoughts, and emotions, I gently help people navigate the difficult waters in life they are experiencing. It is an honor to be welcomed into someone’s walk, and I love seeing where people go as they heal and make changes in their lives! I grew up in the shadows of the Rockies in Aurora, Colorado. After receiving my Bachelor’s in social work at Wartburg College in Iowa, I earned my Master’s of Social Work from Washington University in St. Louis. My practicum experience in St. Louis was working with refugee torture survivors and their families. After finishing school, I returned to Colorado and worked in the rural eastern part of the state as an Emergency Response Therapist. In addition to emergency response, I also co-lead a substance use group and a Dialectical Behavior Therapy group. After 19 months of full-time emergency response work, I also became a part-time outpatient therapist. In this traditional therapy role, I worked with children, teens, adults, and older adults. I provided services for adjustment issues, depression, anxiety, PTSD, bipolar, grief, ADHD, acculturation concerns, anger management, addictions, self-harm, schizophrenia, parenting classes, and more. I moved to Nebraska after meeting my husband and worked as a Behavioral Health Consultant at the People’s Health Center. In the medical office, I used brief interventions with people while they met with their medical provider. In this role I worked with people that came to Nebraska from around the world and that were experiencing a variety of different physical, emotional, social, and mental health difficulties. 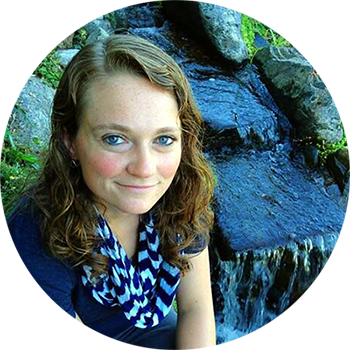 I launched my private practice, River Cairn Counseling, in fall 2016. Wanting to expand my services to include in-person support for people in the Lincoln area, I joined with Catalyst Behavioral Health for two years. 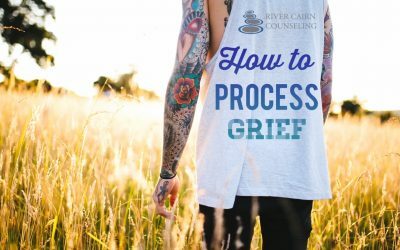 After the birth of my daughter, I returned to providing only online therapy services in the evenings while enjoying time with her during the day. Individual and couple’s therapy are available online for adolescents, adults, and older adults. I specialize in working with anxiety, trauma, and depression. In fact, I am a Certified Clinical Trauma Professional. I also have extensive experience working with individuals with suicide or self-harm thoughts. Beyond these specialties, I provide treatment for various other mental health or behavioral concerns. I have evening hours available for the convenience of working clients. Research shows that the therapeutic relationship is the single most effective and healing aspect of therapy. This means that finding the right counselor for you is crucial to a successful therapeutic outcome. This is why I offer a free 30 minute consultation to all potential clients. The free initial consultation gives you the opportunity to meet me, ask questions, learn about my services, and decide if you think I am the right counselor for you before you invest your time, emotions, or money. Every person has the power within themselves to live a fulfilling and successful life. Recovery and growth are possible for every person. My role in therapy is to help people find and build their personal resources to meet both current and future challenges. Empowerment and non-judgmental respect for each person are the cornerstones that I build my practice on. Together, we will identify thoughts and behaviors that may need to be altered in order for you to experience the life you desire. I am always privileged to witness the difficult changes people make and how they overcome their obstacles. While I do work with people who are taking mental health medications, and can refer you to a provider if needed, I do not myself prescribe medications. The thing is that just about everybody could use counseling at some point in their lives. As our society is becoming more educated and the stigma of mental health decreases, increasing numbers of people are seeking out help. Nurses, teachers, law enforcement, farmers, single or new parents, construction workers, retirees, widows, and even counselors! As you set the tone and pace of therapy, we can make therapy as quick or extended as you desire. 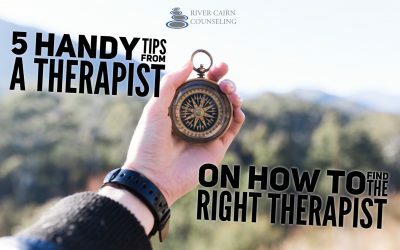 You won’t be “stuck in therapy for years,” and I also won’t drop you out of therapy before you feel ready. Where are you located in Lincoln? River Cairn Counseling has joined Catalyst Behavioral Health at 5539 S. 27th, Suite 104. The building is on the northwest corner of 27th and Old Cheney. The Catalyst offices are located on the lower west side level of the building. The StarTran Bus Service has a bus stop at this intersection on the Sheridan Route #56. Your privacy and confidentiality is taken very seriously and are a major component of my profession’s Code of Ethics. I understand that for you to feel safe and comfortable opening up about your private information, you need to be able to trust that the information will not leave the session. With few exceptions, what happens in a therapy session stays in a therapy session. The law protects the relationship between a client and a counselor, and information cannot be disclosed to any third party without written permission from you. The Health Insurance Portability and Accountability Act (HIPAA) enforces national confidential standards protecting your medical records and personal health information. Therapy and mental health are included under HIPAA protection. Suspected child abuse or dependant adult/elder abuse. I am required by law to report suspicions to the appropriate authorities immediately. In cases in which a threat of bodily harm towards another person is made, I am required to notify the police and inform the intended victim. If a client intends to harm himself or herself, I will make every effort to enlist their cooperation in insuring their safety. If they do not cooperate, I will take further measures to ensure their safety. Please call me at (531) 289-8246. I may be in session with another person at the time you call, so please leave me a confidential voicemail. If possible I will respond to your message the same day, and if not then I will respond within the next business day. If you are currently working with me and we have developed a safety plan together, follow that safety plan. If you do not feel able to keep yourself or others safe right now, please call 9-1-1 or go to the closest hospital ER for help. If you are experiencing thoughts of suicide or homicide, call 9-1-1 or 1-800-273-8255 for the National Suicide Prevention Lifeline. 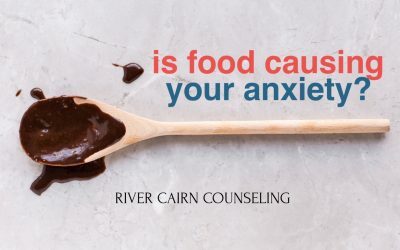 Contact River Cairn Counseling Today!